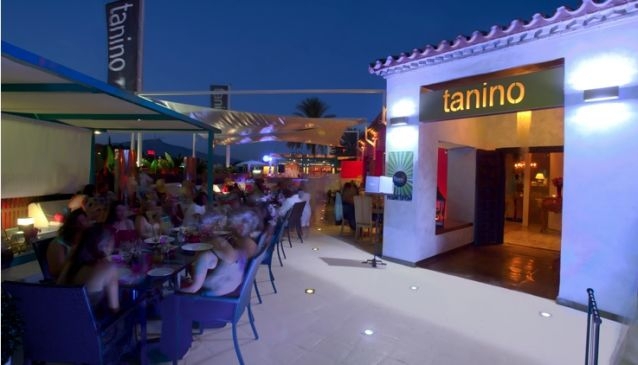 Tanino is fast becoming one of the most popular restaurants in Estepona, and it's easy to see why. Their fresh approach to hospitality is invigorating, ensuring you a once in a lifetime experience, every time. In the bustling area of Benavista, Tanino has something for every mood, whether you want a chilled out cocktail, or a delicious dinner under the stars. With the option to sit outside or in, the choice is yours. The decor is modern, playful and bright, with canopies and umbrellas dotting the terrace. The main stand-out point of Tanino is their value for money. Their International cuisine ranges from homemade pastas, char-grilled steaks, fusion Asian dishes and a special Indian menu from their dedicated Indian chef. Tanino offers a fresh gastronomic concept, influenced by its two sister restaurants in Madrid. You can also just go along for a drink. They have a huge range of cocktails and special gins, perfect for a girls night out or a catchup with friends and family.